You can be afraid of a million different things. Is fear stopping you from achieving the things you want in life like a good job, education, travel, confidence, physical fitness, and most of all happiness? Here is what the World Dictionary has to say about FEAR: An emotion experienced in anticipation of some specific pain or danger (usually accompanied by a desire to flee or fight). Fear can be both good and bad. Lets dive into the meaning and break it down. Fear is a human’s basic desire at self preservation its hardwired into our being. 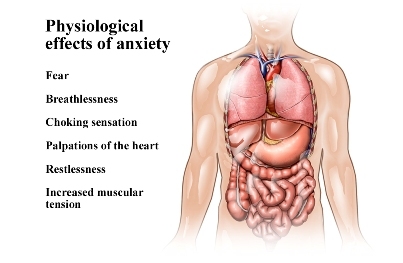 What are some of the symptoms of fear. Your heart starts pumping faster, your palms get sweaty, you get butterflies in your stomach, and you start breathing faster. 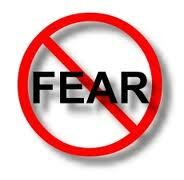 Yes FEAR rears its ugly head, well what is it that you are afraid of? Its not that your life is in danger or that you might get eaten alive. So why all the nerves and same emotional response as if you were in danger? Your desire to flee or that FEAR is because you are afraid of rejection. Something in you has to overcome that fear and go up to that person. Lets imagine the worst case, they totally reject you and turn you down. You may feel pretty crummy or sad, but you should get over it, at least you found out that they weren’t that much into you. On the other you also learned something from the experience and once the wound of rejection heals, you’ll probably get more confident and a little more courageous to go up to the next person you like. Now let’s say that you go up to this person and they totally dig you, it all works out and you are perfect for each other and live happily ever after. Wow that is so cool. What did you learn, well that its totally worth taking that risk and overcoming your FEAR of rejection. You see fear comes in all kinds of packages from fear of rejection, fear of failure, fear of perceived disastrous outcomes, and so forth. Its up to us to decide how we deal with fear and from our experiences we set boundaries and limits. Lets not forget that fear does serve a purpose for our self preservation in situations of grave danger, however that is not the case in most circumstances. Instead its in our heads and we pass up promotions, relationships, opportunities, life altering experiences because we use FEAR the wrong way. Most people are more afraid of losing than gaining. People will use fear as the excuse for not trying, they are afraid of losing, that they won’t try and gain more. In life the spoils don’t go to those who sit idly waiting for things to happen, the spoils of victory go to those who go out and make things happen in the face of adversity, danger or no danger. Those who seek success know what they want, believe in themselves understand that there will be challenges, failures and setbacks, they don’t make excuses, and most of all they don’t listen to the crowd that says, don’t do that because its too risky. Let me ask you, do you know what you want? Do you know how you are going to get it? In the end do you know what it takes to succeed and overcome FEAR? It takes LEADERSHIP. Leaders make things happen in the face of FEAR, they use fear to their advantage. When others run, they charge, when others quit they forge ahead, when others hesitate, they execute. Leaders use their emotions to think, not think with their emotions. If you want to develop your leadership potential and get more out of life, the Hawaii Army National Guard is always looking for those with leadership potential. Contact me SFC Josue’ Cevallos at 808-864-9627. The Hawaii Army National Guard, where Leaders are made. Now go out and make it a great day! WHERE IS THE RECRUITERS OFFICE HERE ON KAUAI?